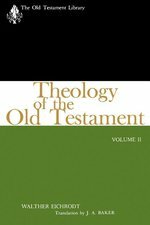 In this informative and keen look at contemporary trends in Old Testament theology, Perdue builds on his earlier volume The Collapse of History (1994). 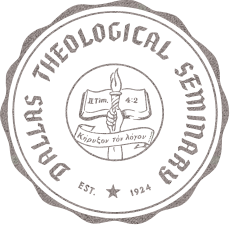 He investigates how a variety of perspectives and methodologies have impacted how the Old Testament is read in the twenty-first century including: literary criticism; rhetorical criticism, feminist, womanist, and mujerista theologies, liberation theology; Jewish theology; postmodernism; and postcolonialism. Perdue provides a sensitive reading of the aims of these approaches as well as providing critique and setting them in their various cultural contexts. In his conclusion, the author provides a look at the future and how these various voices and approaches will continue to impact how we carry out Old Testament theology. In this new volume from the New American Commentary Studies in Bible & Theology series, Mark Rooker discusses one by one the language of each of the Ten Commandments and its complete meaning in the ancient context. Adding a depth of understanding that can't be obtained by looking only at the commandment itself, he shows how each commandment echoes elsewhere in the Old Testament, how it was violated in Israel's history, and how it surfaces again in the New Testament. In conclusion, Rooker includes an extended section on the theological significance of each commandment and its contemporary implications. 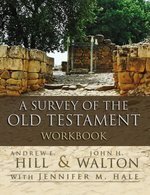 Helps students come to a critically informed theological understanding of the Old Testament. In this powerful book, Walter Brueggemann moves the discussion of Old Testament theology beyond the dominant models of previous generations. 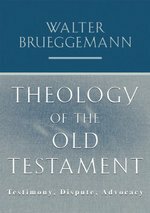 Brueggemann focuses on the metaphor and imagery of the courtroom trial in order to regard the theological substance of the Old Testament as a series of claims asserted for Yahweh, the God of Israel. This provides a context that attends to pluralism in every dimension of the interpretive process and suggests links to the plurality of voices of our time. The God of the Old Testament can seem very foreign to Christians. His actions appear to starkly contrast with the God of grace in the New Testament and with modern notions of justice and propriety. In this short volume, Old Testament scholar Walter Kaiser devotes each chapter to a different difficult subject, including creation, the wrath of God, the genocide of the Canaanites, God's knowledge of the future, polygamy, Satan, the view of women, and application of the Old Testament law. He addresses each topic in a practical, accessible tone, with pastoral insight and humor, consistently focusing on the Scriptures. The reader will find that there are not two different gods in the Bible and that the Old Testament is not an antique artifact that should now be jettisoned from Christianity. The Old Testament and the God it depicts is One with the God and Father of our Lord Jesus Christ. His actions, when properly understood, are not at variance with the New Testament; rather, a view of the beautiful unity in the Bible as a whole will strengthen the church's faith and aid in Christian witness and apologetics.